Did you know that the market for Laphroaig whisky has grown exponentially in the last five years? High prices are not just reserved for very mature and rare bottlings, even bottles were bottled before the Royal Warrant was appointed to Laphroaig in 1994 command a premium. Any bottles prior to the 1970’s are also very much in demand, so it could be that you are sitting on a small fortune completely accidentally. If you were shrewd enough to buy some of the limited edition bottlings then you should see a good return on your investment. This page is intended as a starting point highlighting a few key features about your Laphroaig and how to go about getting it valued, and eventually sold. With prices at record levels this makes the ideal time to sell your Laphroaig whisky and we are here to help and ensure you get the best deal. We can advise the value of your Laphroaig whisky and help you find the best place to sell it. 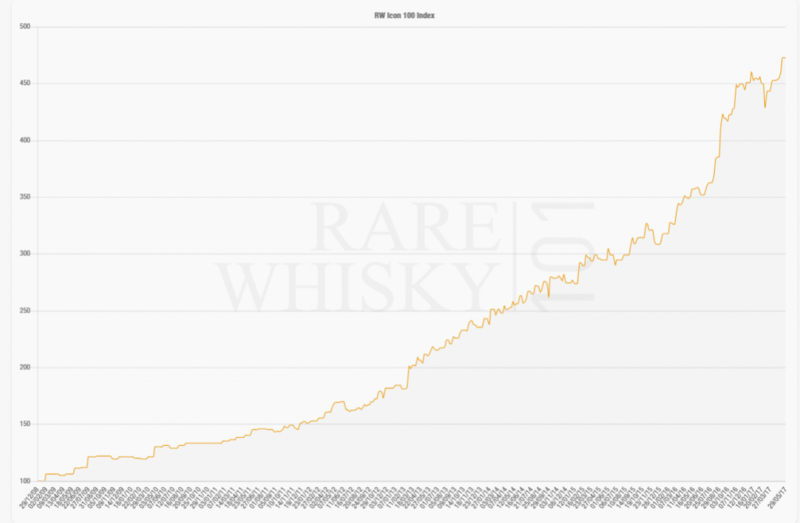 The Rare Whisky 101 index here shows how much growth there has been in recent years for rare single malt whisky like Laphroaig. Vintages are different to the age of the whisky and are a declaration of the specific year the whisky was distilled. It is on of the most important factors that can impact the price of your Laphroaig. A vintage is expressed as a date on the bottle from the year the whisky was produced. Whisky does not continue to age when it is in the bottle. Holding onto a bottle for a long time does not mean to say you will increase its value. 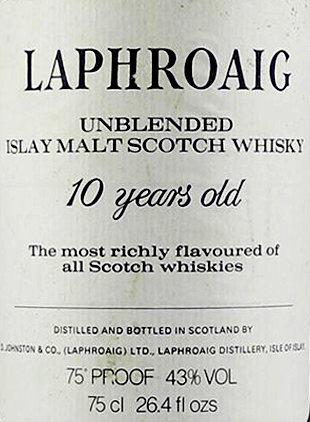 However, an old bottle of ‘standard’ Laphroaig single malt whisky can be VERY collectable as whisky collectors often look for changes in labels. 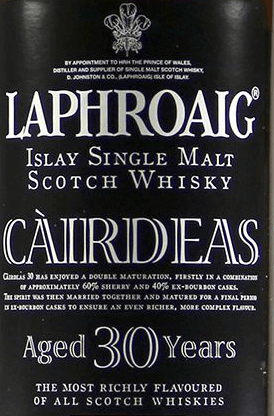 Another major factor that impacts the price of a bottle of Laphroaig is the age of the whisky. This is expressed on the label and can vary from 5 to over 30 years old. This age refers to the age the whisky when it was bottled and whisky does not continue to age when it is in the bottle. Single casks bottlings are a limited edition by the simple fact that the bottling run is limited to the number of bottles of whisky contained in the cask. The second type of limited edition are those that were made for a specific event, such as the 30-year-old bottled in the late 1980’s. Bottles of Laphroaig like this unblended 10 Year Old are very commercial and can make £1000’s in some instances. Be on the look out for any bottles at 75cl or 26 2/3fl ozs as these are very commercial. This is a very rare desirable bottling of 60% sherry casks and 40% bourbon casks, which were then married together in bourbon Laphroaig Cairdeas which was matured in 60% sherry casks and 40% bourbon casks, which were then married together in bourbon. If you are fortunate enough to have the original packaging that your bottle was supplied with, such as a presentation case or card box, then this will have a positive impact on the value of your bottle of Laphroaig. The level of the whisky should be into the neck (the narrow part). As alcohol is more volatile than water it is the alcohol that will evaporate first which damages the flavour. If the level is lower than the neck it will have an impact on the price. The label on your bottle of Laphroaig is very important and if it is damaged in any way then this will have a negative impact on the value. However, it will not be as damaging as having a level lower than the neck.